Lincoln is nothing if not brutally honest. Because he’s been scorned and outcast by this colony, Vale, he is soft-spoken, distant, and cold. To most people, he is humorless, but perhaps for the chosen few, he lowers his guard and will smile, maybe even crack a joke. The younger sibling in the Arokson family, Lincoln has unrivaled knowledge and experience of the wild that lurks beyond Vale’s perimeter wall. In fact, he might otherwise prefer to live out there if not for his children, and he, more than most, though not as much as some, knows the wild is no place for children. He is raising his children, Shane and Bernice (she prefers “Bernie”), alone because his wife died in the wild years ago. Suspected of her murder, Lincoln tried to convince the other colonists that something out there took her in the dark of the night. No one believed him, though, because the planet Lumen isn’t supposed to have any wildlife. There was one person who believed him, however: his older brother, Aeron, the warden of Vale. The warden of Vale carries a heavy burden. He is not only responsible for his colony but also the Pillar of Dawn the colony is charged with operating and maintaining. 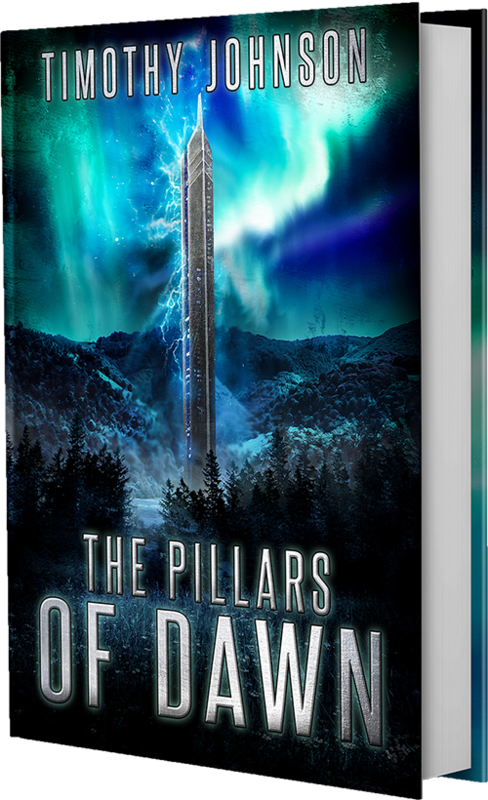 If anything happens to the pillar, the other five pillars scattered around the planet will fail in a chain reaction that will leave Lumen inhospitable, and then all life on the planet will die. In some ways, Aeron understands what it is to be the outcast like his brother, Lincoln. Aeron must enforce Vale’s laws, but he also must know when to bend them. He must serve the colony’s people, but he also must know when to be loyal to his family. 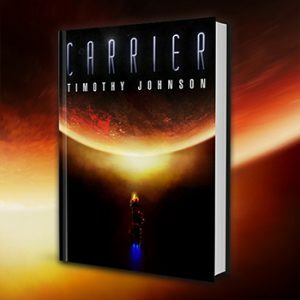 Aeron is a man caught in the middle between his duty and the people he loves, and the strain has weighed on his relationships with his wife and children. Aeron feels no one understands what he’s had to go through as Vale’s warden, and he is not wrong. The wife of the warden is somewhat of an enigma, and where Lincoln and Aeron resent the fact that they are outsiders in their own home, she revels in it. Lucy has a cunning mind. She is a brilliant strategist who is able to read people at a level deeper than they may even know themselves. It is this unique quality that makes her a perfect leader, but that is a responsibility she has never wanted. Lucy is loyal to her family first, and while she is not a violent person, she would throttle the life out of anyone (or anything) who threatened her children. There is no question in Shane’s mind that he is ready for this world. The only question is whether it is ready for him. The son of Lincoln, their relationship has been strained for literally as long as he can remember. Shane is a teen, and he has no memory of his mother. He knows only that his father may have killed her. He doesn’t believe that, but still, if he were being honest, he would admit it’s crossed his mind. Shane watches the world around him as it grinds to a halt, and to him, no one seems to be actually doing anything to solve their problems. Perhaps he will discover it seems that way to him because he doesn’t understand as much about the world as he thought he did. Only her friends can call her Reggie. To everyone else, it’s Sheriff Ballard. As Vale’s first female sheriff, she had to work damned hard to acquire that respect, and there’s no chance in hell she’s going to let anyone forget it. Hard, callous, sometimes downright mean, Ballard is virtually unlovable if for no other reason because she just doesn’t have time for that crap. But while she’s spent years shrugging off her own emotions from her tough exterior, something has eaten away at her insides. She fights an emptiness within her, a natural need to be vulnerable and let someone in. It would be disingenuous to be coy about this. Of course she does let someone in, but the ultimate question is whether it truly makes her more vulnerable or if it makes her stronger. Perhaps it’s the key to her own survival, literally and emotionally. A caustic and sometimes abrasive personality, Ducard is a giant in a man’s shoes. Nothing fazes him. He has a pretty sweet gig as a sergeant in the sentry service (a unit of colonial soldiers that protects Vale). He gets to shoot big guns and make the other sentries do whatever he wants, either by pulling rank or threatening them with his imposing form. Yep, Ducard has it all going for him. Nothing can penetrate his concrete exterior. Until something does and takes everything from him. Then everything might seep through the cracks. Can he piece himself back together and be the hero the people of Vale need him to be? The captain of the sentry service is actually an alien. He is the only human being on Lumen who wasn’t born on this rock. For years, he fought in wars on other worlds for reasons the people on Lumen just will never understand. Not until the planet develops enough to join the central planets and their alliance. But that is another tale for another time. Barrow has moved on from it, and he’s come to Lumen to show its people how to fight. His superiors sent him, and he knows exactly why. Liar, cheat, political demagogue, Gideon seeks the Warden’s Seal, a symbol of the people of Vale that grants its wearer the sole right to govern. He is popular with the people because they see him as one of their own. Life in Vale is hard, and the stakes are high. He uses the people’s own resentment and fear for the future against them like rungs on a ladder, elevating him into power upon their own irrational anger and fears. Gideon would let the world around him crumble if it meant he could hold the Warden’s Seal. He doesn’t care if a ruin is his to rule. He only cares that it is his to rule. Everything else is details. There are still more people to meet within the pages of The Pillars of Dawn. I hope you consider picking it up on December 8. For more about the novel, click here. 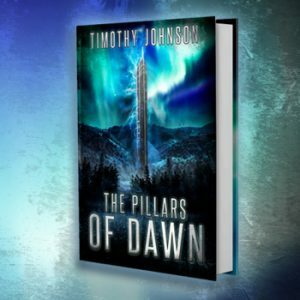 Tagged Aliens, Bonus Content, Monsters, The Pillars of Dawn.